Sweden will announce whether it will drop the majority of its preliminary investigation against Julian Assange, who has not been charged with a crime. Assange has been detained for nearly five years without charge. If the case drops, Assange will still not be able to leave the Ecuadorian Embassy in London, where he has remained for over three years under protection of asylum. The United Kingdom says it will arrest Assange anyway even if the Swedish case drops. 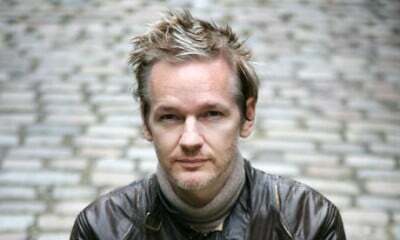 Ecuador granted Assange asylum because of the US attempts to prosecuteAssange and WikiLeaks, a publishing organization, for espionage. “Assange has been detained for five years while the United States builds its case against Assange and WikiLeaks, and continues to threaten publishers and whistleblowers,” says First Amendment attorney Carey Shenkman, who represents Assange and WikiLeaks with Michael Ratner and the Center for Constitutional Rights in New York. The United States cannot claim to protect First Amendment freedoms while prosecuting WikiLeaks. Prosecuting a publisher for exposing government abuses simply cuts the heart out of the First Amendment. This year, it was revealed that the US government seized the e-mail accounts of WikiLeaks staff and numerous individuals associated with WikiLeaks, including US security expert and activist Jacob Appelbaum. “At this point everyone wants the case in Sweden to go away,” said Shenkman.